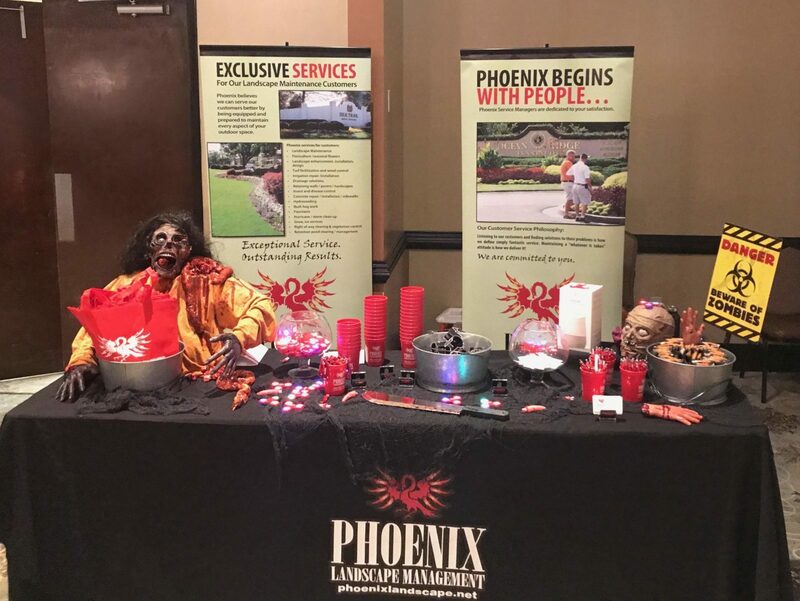 On Thursday, October 5th, Phoenix Landscape Management attended the annual Community Association Institute SC Expo in Columbia, SC. CAI is the national association for Community Association managers and board members, and is dedicated to training members, providing valuable resources and giving community associations a voice on the national stage. The SC expo was for local chapter members to spend a day together socializing, bonding and learning! This is a yearly event that is held in different cities throughout the state. As a proud business partner to CAI in SC, it was our pleasure to help sponsor the event by having a vendor booth at this year’s expo. The vendor booths give managers and board members the opportunity to mingle with industry experts, and to of course load up on great swag! 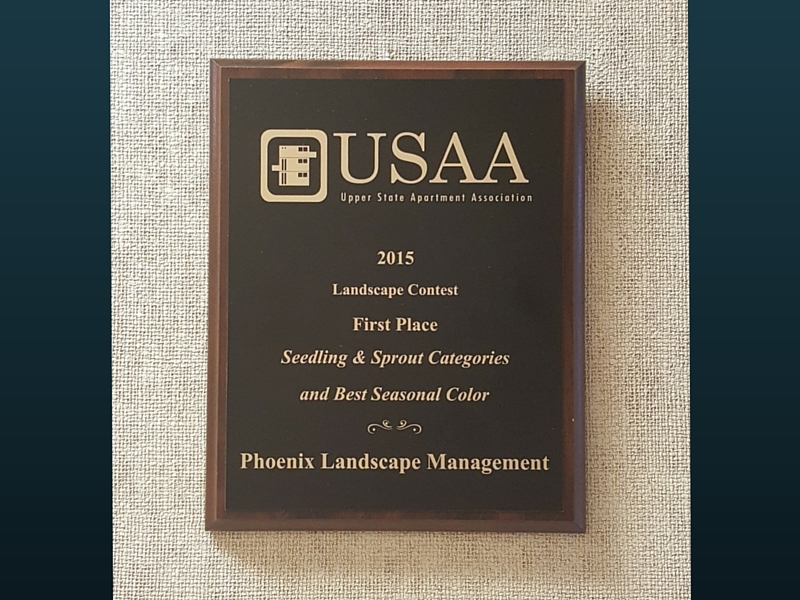 Tim Skelton, Adam Wyman and Mary Johnson represented Phoenix Landscape Management at this year’s show, and spent the day meeting with managers and board members. 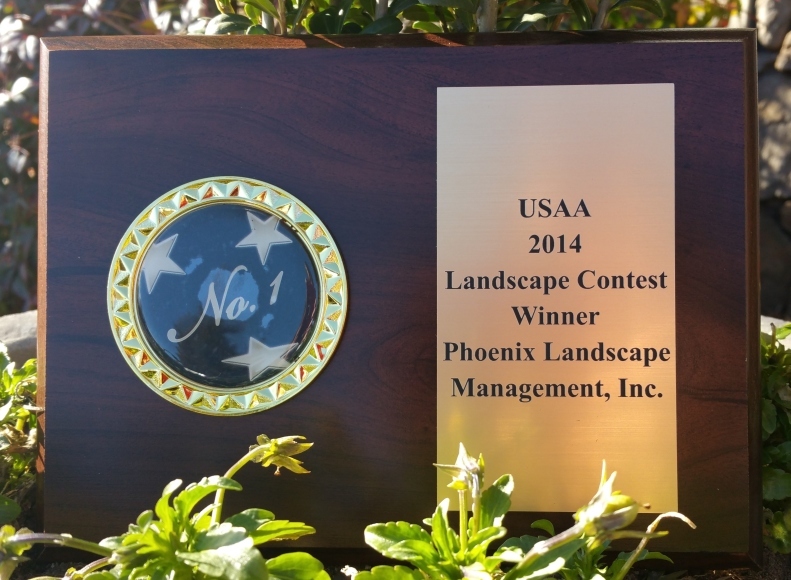 They also enthusiastically told anyone and everyone how Phoenix Landscape Management brings a “whatever it takes” attitude to every property we manage. This year’s expo was Zombie themed, and all vendors were asked to adhere to that theme when setting up their booths. 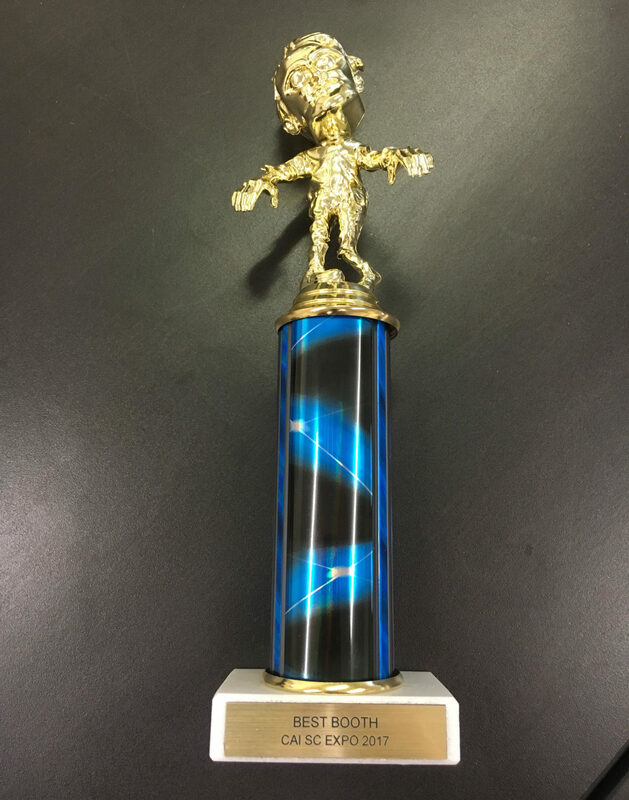 We are proud to be able to announce that we won this year’s prize for best booth… mostly due to the creative touches of our very own Mary Johnson! Mary spared no expense in turning our booth into a zombie-infested work of art! 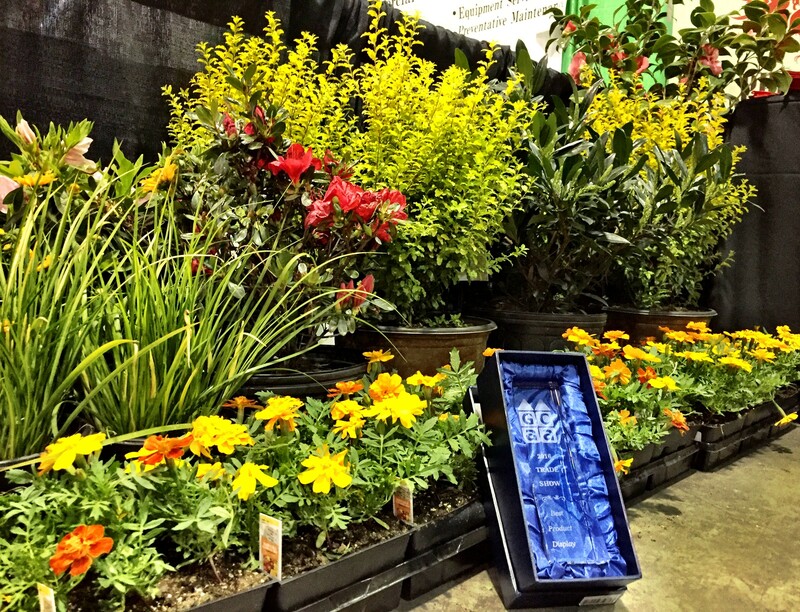 If you have never attended a CAI event, we strongly suggest you check one out soon. You won’t be disappointed…and maybe we’ll see you there!